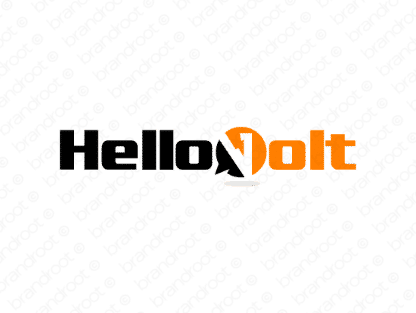 Brand hellovolt is for sale on Brandroot.com! Merging "hello" and "volt", this name puts and accessible spin on ideas of power and energy. Hellovolt has a stylish and catchy feel, a great brand that's equally suited for renewable energy products and services or innovative design studios and engineering startups. You will have full ownership and rights to Hellovolt.com. One of our professional Brandroot representatives will contact you and walk you through the entire transfer process.